Parity is the name of the game in the Stanley Cup playoffs, so expect bounce-back performances from the favored Lightning and Penguins. We're off to [a 1-0 start with Stanley Cup Playoff picks](https://www.betchicago.com/stanley-cup-playoffs-odds-picks-hurricanes-capitals-game-1-april-11), and we're checking out two teams in need of bounce-back performances for Friday's betting slate. The Lightning had [a rough start](https://www.betchicago.com/nhl-stanley-cup-playoffs-bad-beat-heavily-favored-lightning-lose-to-blue-jackets) to the postseason after winning the President's Trophy (given to the team with the most points in the regular season), sacrificing a three-goal lead at home and [losing Game 1 to the Blue Jackets](https://www.thescore.com/nhl/events/21613), 4-3. The Penguins, who have been to the playoffs 13 straight seasons -- including winning the Cup in 2016 and '17 -- scored a goal with an extra-skater at 18:31 of the third period to force overtime. But the Islanders won in extra time after [hitting the post](https://www.nhl.com/video/baileys-late-redirect-hits-post/t-306623722/c-67637103) at the end of regulation. It was the first time New York had started a playoff series at home since 1988. <a href="https://www.youtube.com/watch?v=gAG6w1Fmqq8" class="embedly-card" data-card-width="100%" data-card-controls="0">Embedded content: https://www.youtube.com/watch?v=gAG6w1Fmqq8</a> So who are our picks for the Game 2s? __MORE:__ [Our complete Stanley Cup Playoff betting coverage](https://www.betchicago.com/nhl-betting) ## Stanley Cup Playoffs Friday Game 2 picks The Lightning (-250 at MGM Resorts) have lost two in a row [only twice all season](http://www.vegasinsider.com/nhl/teams/team-page.cfm/team/lightning), while the Pens (-130) haven't gone down 2-0 in a playoff series since they were swept by Boston in the 2013 Eastern Conference final. 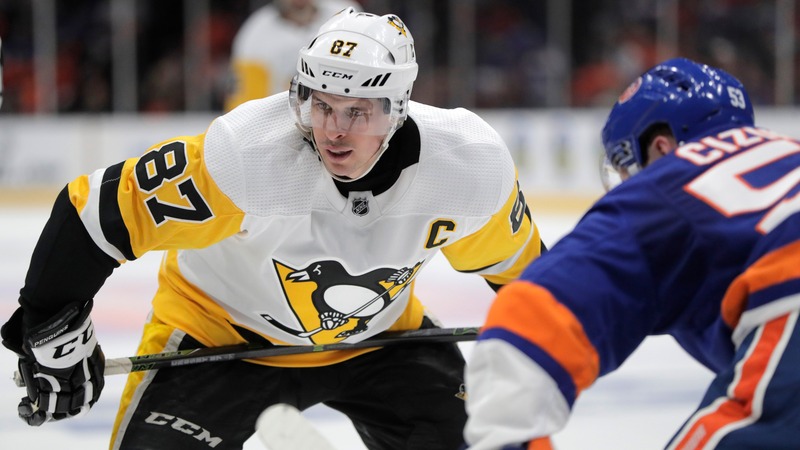 Pittsburgh has the pedigree advantage on the Islanders, and while New York may be the superior team, this has the makings of a drawn-out series. Tampa Bay knows it cannot drop another home game after the regular season it just put together, so the Lightning players will come out with their hair on fire and won't take any lead for granted. Bettors should be wary of the steep price (-250), but expect this series to be tied after Friday. We typically don't recommend non-correlated parlays, but we're feeling a little frisky and so we'll play a $100 Tampa (-250)/Pittsburgh (-130) two-teamer for a potential $147.69 win. Columbus at Tampa Bay starts at 6 p.m. CT on CNBC, with Pens-Isles at 6:30 on NBC Sports Network. __Playoff pick tally:__ (1-0, up $185 after putting [$100 on Capitals puck line Thursday night](https://www.betchicago.com/stanley-cup-playoffs-odds-picks-hurricanes-capitals-game-1-april-11)) __PLAY:__ Our [free daily contests](https://betchicago.chalkline.com), including [NHL Pick 6 Playoff Challenge](https://betchicago.chalkline.com/games/nhl-pick-6-playoff-challenge), for the chance to win a BetChicago prize pack.